Hope all of you had activated Jio prime membership at Rs.99. Now you need to pick a suitable Jio new plan to continue using unlimited 4G services. 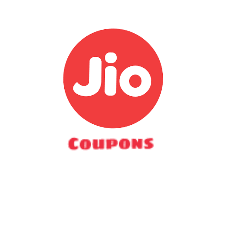 In this post, I am going to share with you latest working Reliance Jio coupons and recharge offers, so that you can avail maximum discount or cash back while you recharge your Jio number online from paytm, freecharge and mobikwik. You can also recharge your Jio Prepaid & Postpaid number with the Prime pack from Myjio app or Jio’s official site, but you will not get any cashback or discount. So, I suggest you choose Paytm or freecharge or Mobikwik while doing Jio Prime Recharge to save your money. Using Jio Recharge Coupons and promo codes, you will be able to get free cash back from online sites like paytm, freecharge or mobikwik. If you’d activated Prime membership, then follow simple steps to save money on Jio Prime recharge. Enjoy Rs 51 cash back on Rs 399, 509 and 309 Recharge. Visit Here to CHECK PROMO CODE. You can avail this offer 3 times. Get flat Rs.50 cash back on Jio Recharge of Rs.300 or more. Visit Here For More Details About Jio Phonepe Offers. Complete the Payment using your paytm wallet balance or any other payment mode available. Mobikwik is well-known for its easy and quick payments to do mobile, DTH, data card recharges. Now mobikwik is also offering cash back on Jio prime & all plans recharge. You can check latest working Mobikwik Coupons & Promo Codes to get cash back on other recharges. You will get 10% supercash on all plan recharge on MobiKwik App or website. Minimum recharge amount is Rs.10 and maximum supercash is fixed at Rs.100. The offer is redeemable once per user. Recharge with Rs 399 plan and get Rs 49 Supercash. Valid once per user. Note: You can use 10% of your total SuperCash amount in every payment you make with MobiKwik. Enter all details like number, circle, operator, etc. Proceed to pay the amount. Pay the amount with your CC/DC or any other payment method. Now get Rs.50 off voucher code when you become a prime member through My Jio App. Using this voucher you will get the Rs.50 discount on 303 recharge. For More Details, Check Jio Money Offers post. Freecharge too is the well-known site for getting huge cashback on recharges. There are also available Jio recharge coupons or promo codes for freecharge. Also, look at freecharge promo codes and coupons to get to know about more cashback codes. Offer 1: Make your Jio Recharge on Freecharge for minimum Rs.99 and get a Cafe Coffee day voucher for one free regular cappuccino. Note: The Offer shall be valid till coupons last or 31st March 2017 whichever is earlier. Offer is applicable once per user only. Cappuccino code will be received via SMS/Email within 48 hours. Go to Freecharge website or app. Enter mobile number details including circle, operater etc. Enter Jio prime plan amount. Complete the payment with any payment method. Subscribe to our push notification and stay tuned with us to get more reliance Jio coupons, promo codes for your Jio prepaid & postpaid recharge.